When William Faulconer rescues Nate Starbuck, his son’s friend, from the clutches of a Yankee-hating mob in Virginia, he finds a grateful and willing recruit for Faulconer’s Legion. But Nate’s decision to fight against his native North is only one of the human dilemmas facing the Legion. The Legion commander’s son is against the war, and his daughter’s fiancé is plotting for control of the family fortune. As a motley gathering of men prepares to engage the enemy at Bull Run, they have high hopes of ending the war before it starts. The year is 1820 and England has fought its last victorious battle against the French. Rider Sandman, a hero of Waterloo, has finally returned to London to wed his young bride. But instead of being able to settle down to his fame and glory, he finds himself penniless in a country where unemployment and social unrest are raging high, and where men - innocent or guilty - are hung for the merest of crimes. Thus, when the Home Secretary offers him a job as private investigator. Four thousand years ago, three brothers grow up in a land that is now Britain. One becomes a warrior, ruthless in his pursuit of gold and power. One is a mystic who sees visions of the future and hears the gods speak to him. Between them stands Sagan, the gentle brother who will dedicate his life to building a temple he hopes will bring health and peace to the land. From the New York Times best-selling author comes the definitive history of one of the greatest battles ever fought - a riveting nonfiction chronicle published to commemorate the two-hundredth anniversary of Napoleon's last stand. Not a close run thing! For centuries, the Vikings have swept out of the Norse countries and fallen on whatever lands they could reach aboard their longships, and few could resist the power of their violent onslaught. They came at first to plunder and then to settle, an encroachment fiercely resisted wherever they went. Such was the case in the southern lands of Ireland. En route to the Viking longphort there, known as Dubh-linn, Thorgrim Night Wolf and Ornolf the Restless stumble across an Irish ship. While the major fighting of the war moves to the south in the summer of 1779, a British force of fewer than a thousand Scottish infantry, backed by three sloops-of-war, sails to the desolate and fog-bound coast of New England. Establishing a garrison and naval base at Penobscot Bay, in the eastern province of Massachusetts that would become Maine, the Scots - the only British troops between Canada and New York - harry rebel privateers and give shelter to American loyalists. In response, Massachusetts sends a fleet of more than 40 vessels and some 1,000 infantrymen to "captivate, kill or destroy" the foreign invaders. Second in command is Peleg Wadsworth, a veteran of the battles at Lexington and Long Island, once aide to General Washington, and a man who sees clearly what must be done to expel the invaders. But ineptitude and irresolution lead to a mortifying defeat - and have stunning repercussions for two men on opposite sides: an untested 18-year-old Scottish lieutenant named John Moore, who will begin an illustrious military career; and a Boston silversmith and patriot named Paul Revere, who will face court-martial for disobedience and cowardice. 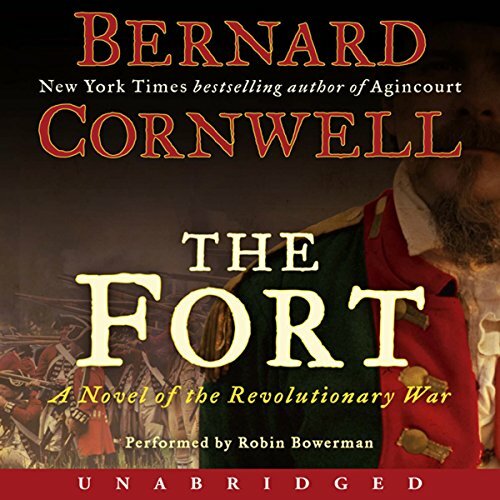 Grounded firmly in history, inimitably told in Cornwell's thrilling narrative style, The Fort is the extraordinary novel of this fascinating clash between a superpower and a nation in the making. It's hard when your favorite author puts out a book which is just simply so tedious you can't finish. I believe Cornwell is nothing short of a genius so I cannot imagine why he chose to use as a story line a particularly unimportant piece of history and then have no character driven drama aound it. I am a huge Cornwell fan. I have read every book he's written and the Sharpe's books at least twice. The man can make soap bubbles sound exciting; but not this time. The numerous characters took a long time to develop and then the lead characters didn't do very much in the book. He created some likeable characters but didn't really test them or put them under the gun. I love history so I didn't mind the trivial side notes and the historical detail but this info didn't add much to the story. 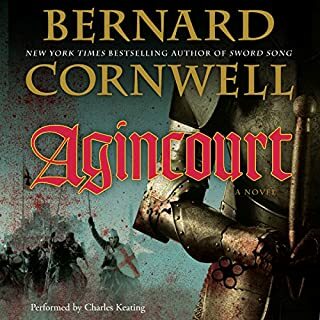 Usually Cornwell takes the historical detail and weaves it into the story in a way that allows the reader to "feel" the history and it is done so artfully that it enhances the story and puts the reader in the middle of the action. Instead this book felt disjointed and the characters and events somewhat random and disconnected. Sometimes the side notes were interesting, like the dialogue where the militia has to eat crow and request help from the continental regulars but there was no follow up in the story where this information comes back as part of the story. I wanted to know what happened and how the event affected the outcome but the author never explained. The book takes a long time to break into action and the tone of the book at first seems rather light and the characters somewhat comical, then boom the battle starts and body parts start flying. I was somewhat startled by the transition. One of the things that I enjoy from this author is the anticipation of the action. 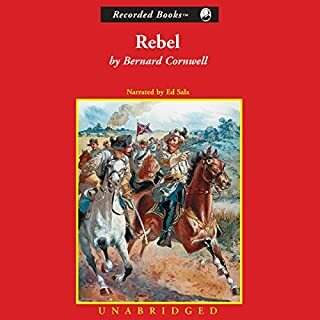 Usually as the characters are developed in a Cornwell book they are placed in increasingly tense situations and conflict until the whole story starts to race downhill. By the time the reader is thrust into the battle sequences the story is at a full gallop and the reader is right in the middle of the action. Not this time. The reader was also very weak. I will pretend that Cornwell's evil twin wrote this one and will wait with unbridled anticipation for the next Cornwell novel. 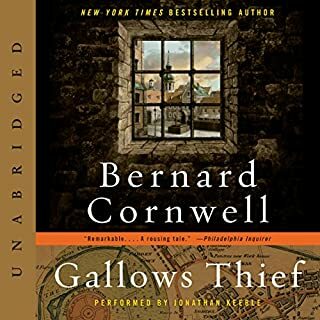 I've listened to several Cornwell books on Audible. Usually they're compelling, tense and with superb narration. While this one held my interest, the tension was a little forced, the narrator simply "acceptable" and the audio quality suspect in places (at least places other than a school gymnasium). I'm not clear on why the characters are a little more shallow than the typical Cornwell - perhaps he's trying to stick closer to the written record of the Penobscot expidition. I'd have to add that I really appreciate the "Author's Notes" Cornwell includes at the end of his novels, wherein he expands somewhat on the historical context and his departures for the purposes of narrative. That was sadly absent in this edition. simply put, it has been two months of trying and I can not get through this book. Dull, tedious and in need of better narration. 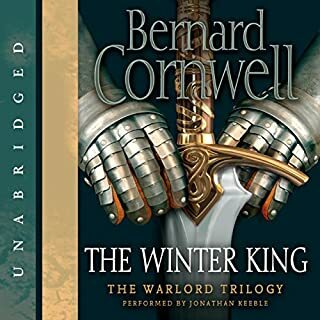 sad because I have listened to every book Bernard Cornwell has available an purchased without thought, or reading review and this time I must say, don't spend the credit. I did find the story interesting but it was almost impossible to listen to this one. 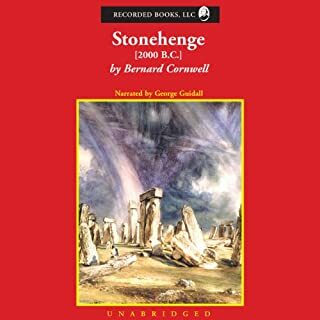 Perhaps the narrator could work on other tales adequately, but I will remember his name and question whether to listen to other books he's involved with. I don't know of any other author that could have done justice to this bit of American history. It has a lot of charaters... and ships... to keep track of and the narrator does a great job helping to keep them sorted out. The story itself is just plain frustrating and leaves the reader wondering how America ever made it past the Revolutionary War. All that said, it was well worth the credit and time. What an interesting and little known part of our history! What would have made The Fort better? What does Robin Bowerman bring to the story that you wouldn’t experience if you just read the book? Outstanding reading - really brought many different characters to life. 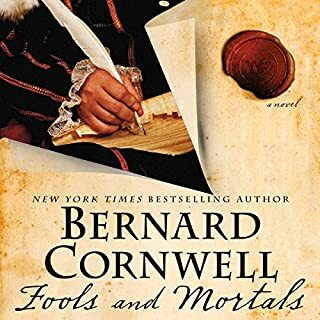 Disappointment - Cornwell is one of the best authors ever, but this is clearly his worst book. A rambling story without an ending. Unlike all his other books. Skip the Fort and listen to the Richard Sharpe series instead. Not Cornwell's usual. One of my favorite authors and I can't following the story line if there is one. Think twice before listening to this one. Loved this book’s use of historical documents, like personal letters, to shade in the background. I didn’t like the abrupt ending that left me clueless as to the aftermath and circumstances of the chief characters. As an American, I don't get much opportunity to read about the American Revolution from the viewpoint of Britain. A very interesting perspective that I wouldn't mind reading more of. Admittedly, it's hard hearing about the shortfalls of American Patriots like Paul Revere and the ineptitude of some American forces during that time. But it also makes a lot of sense when you take the time period and political environment.